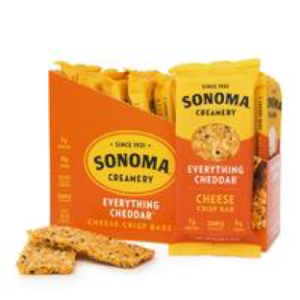 Sonoma Creamery Cheese Crisp Bars – Get your healthy on with this savory, good-for-you snack! A great low-carb, gluten-free snack bar option with 7-8g of protein, our Cheese Crips Bars are high-protein baked from real cheese and simple ingredients. Everything Cheddar, Parmesan, and Savory Seed, $2.49ea. 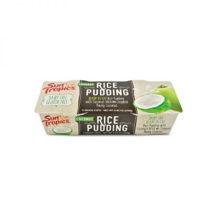 Sun Tropics Coconut Rice Pudding – Whole coconut milk. Young coconut pieces. Thai rice. All simmered with a touch of sweetness. If it were any more authentic, you’d have sand between your toes. Our whole coconut milk snack cups will take you straight to the tropics, every time! Original, Cinnamon, Sea Salt Caramel and Classic Cocoa, $2.49ea. 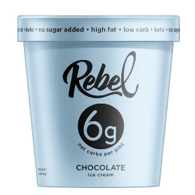 Rebel Ice Cream – is the first low carb, high fat, no sugar added ice cream on the market. We’ve worked with food scientists to find the perfect ratio of keto-friendly ingredients that make it as low carb as possible while still maintaining the taste and texture that ice cream deserves. Rebel Ice Cream passes the “kid” test. We hope to prove that you don’t need sugar to have delicious and creamy ice cream. Vanilla, Chocolate, Mint Chip and Strawberry, $6.99 pint.